Wow! Sometimes it feels like we started this journey only yesterday and sometimes it feels like we are ‘ol salts that’ve been cruising for years…but today we celebrate our 1 Year Anniversary of the day Rode Trip set sail. 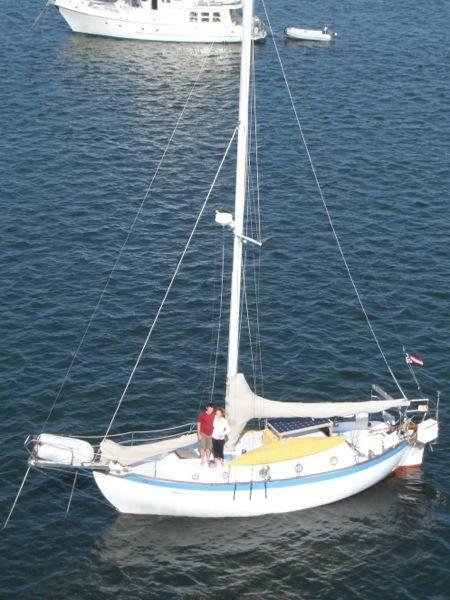 Our first trip as livaboards was from Portsmouth, NH to Jewell Island, ME on June 27, 2012. On day one we were already figuring it out…having to reef the main sail that wasn’t yet rigged for reefing. and we are looking forward to year two! 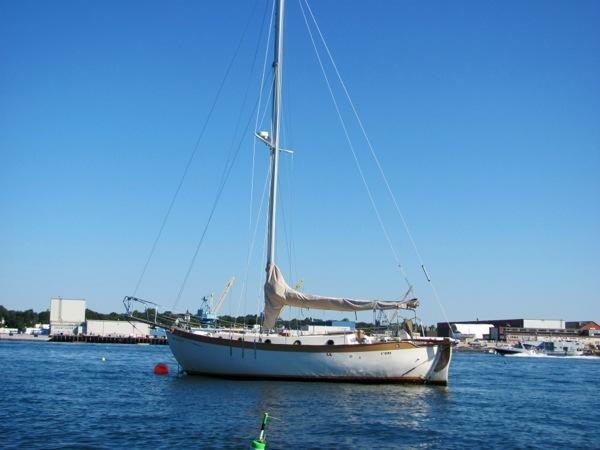 This entry was posted in Uncategorized and tagged casco bay me, cruising, jewell island, livaboard, Maine, New Hampshire, portsmouth nh by stephanie. Bookmark the permalink. Congrats on your first year of learning, adventure and fun! What an amazing experience it must be. Congratulations and Best Wishes! I like the new cover photo too! Thanks for making it possible for the rest of us to follow your adventures. It was a real privelege to meet you on your trip and I hope that your second year onboard is as successful as the first! Well done the both of you. It has been a marvelous journey for all of us as well! Congrats on the first year! Can’t wait to read about the next year. Congratulations on a very busy first year! Man you two have covered some serious miles. We are loving Maine and look forward to following your Med adventures. Big Hugs to ya! Happy Anniversary! I remember our first trip involving anchoring was also at Jewell Island! We are loving reading your adventures, keep them coming! Today we finally launched “Irrational” with her new sandblasted bottom. I swear we were going faster! To infinity and beyond…well at least starting with Casco Bay this Fourth of July!